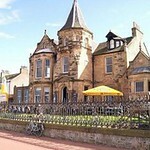 Edinburgh has a range of pubs, bars and taverns all at short distance apart. 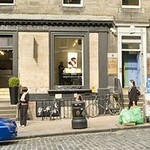 Grassmarket, Royal Mile and Rose Street especilaly has some of the biggets concentrations of drinking holes in Edinburgh. So , when you need to grab a drink to take break from teh city sightseeing spree you don't have to wander off. 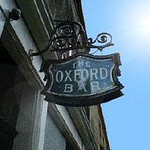 The Oxford Bar situated on Young Street, Edinburgh is well known for having been featured in Ian Rankin's Inspector Rebus series of novels. 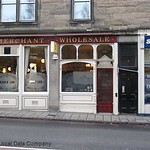 It still retains the original compartmentalised form which many other local bars have lost. A friendly night club that is set underground in fours caverns that gives it a mystic appeal. The Moroccan style interiors, the mysterious alleyways and the impressive wine list makes it worth checking out. 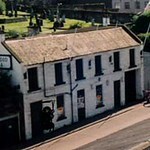 An 18th- century coaching inn that makes a pleasant stop for a refreshing drink after a walk over Arthur's Seat. At opposite end of the street to The Venue. Falling to pieces but nevertheless has good atmosphere and splits in to 2 separate venues (upstairs and downstairs) on fortnightly Sat for 'Oxygen' a gay friendly hard house night and 'Mingin' a very gay trance/techno night run by the 'Joy' team, the other weekends are usually rock nights for grungeys and goths or the occasional fetish/rubber night so check what's on before going. The Cameo Cinema bar serves hot and cold drinks and is a great place to watch a movie over a drink or to spend some time with your friends. 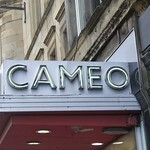 Not to be confused with the Leith Cameo Bar! 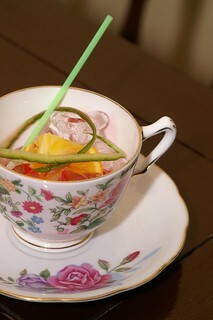 Old fashioned and traditional, Diggers offers a range of whiskey and good ales. Friendly staff and ambience. 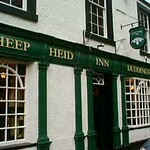 Well known for its ornate interiors, it serves a range of real ale. 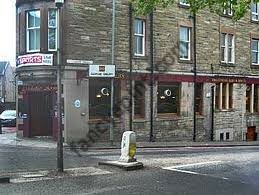 However , if you are looking for a wide choice of bar food, Diggers, might not be for you. Enjoy a luxury night club experience with the choicest music, ale and dining options at Opal lounge. 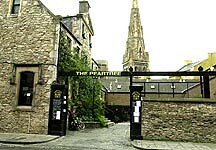 One of the best nightclubs in Edinburgh. 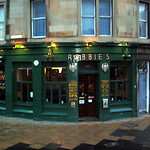 An old corner pub in the Leith walk area, Robbie's has a range of cask ales and malts on offer. Always busy on a weekend with drinkers from from the Hibernian stadium just around the corner. The rich interiors with traditional wood, mirrors, and bright colored prints make it dramatically beautiful. 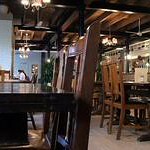 Sofi’s is a chic and lively bar that is as popular for its interesting events and fun activities as its wine list and pub food. 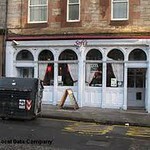 A welcoming place to savour a range of beer and wine , well complemented by freshly prepared food, The Caley Sample Room pub in Edinburgh is a popular haunt of ale lovers. 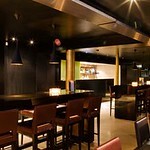 It serves over 37 wines, 46 speciality beers and a range of ever changing seasonal beers. A bar on the beach side that offers the best views over the River Forth, the Dalriada bar is a perfect choice to spend your evening.